The outrage against the latest court decision striking down the Affordable Care Act (ACA or Obamacare) is misplaced. Much of it comes from people — particularly liberal law professors — who thought the latest suit against the ACA had no chance because it was “absurd” and “nonsense.” No one likes to be proven wrong, especially not law professors. Functionally, the entire ACA revolves around the mandate. The mandate forces people to buy health insurance, giving insurance companies and health care providers more revenue. The added revenue enables the companies and providers to pay for the ACA’s new taxes and regulations. And the new taxes and regulations help people comply with the mandate because (1) the tax money pays for subsidies (including tax credits) and (2) the regulations — supposedly — reduce costs. 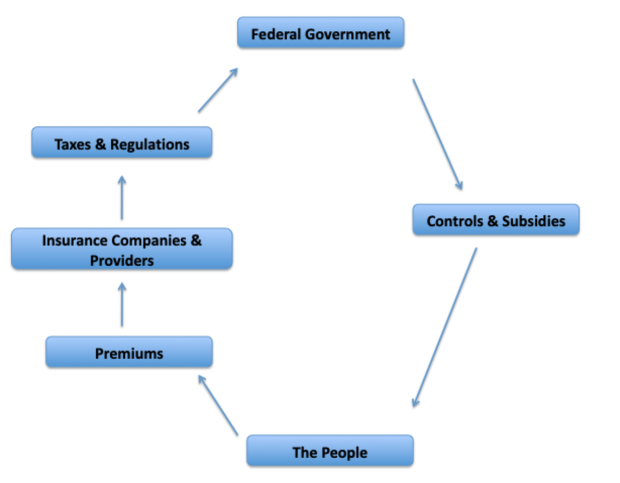 “Shared responsibility” is the ACA’s name for this creaky wheel of mandate, taxes, regulations and subsidies. Congress repealed only the penalty, not the mandate. It retained the mandate as an unconditional command, no longer as a mere condition on a tax. Congress also retained the ACA’s language about how “essential” that mandate was to the rest of the law. Congress did nothing to contradict the Supreme Court’s view that the mandate was essential.